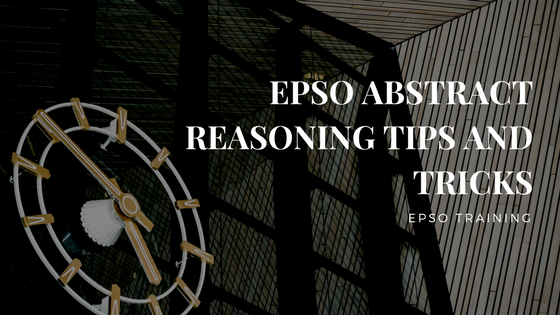 With the new selection procedure, EPSO has introduced another type of preselection test – epso abstract reasoning tests. These tests are commonly used worldwide in graduate and managerial selection. They assess ones ability to understand abstract and complex concepts. At the EPSO preselection exam you will have 10 abstract reasoning questions in an allotted time of 10 minutes. This means one minute per question. The mark obtained in the EPSO Abstract Reasoning test will be added to the mark obtained in Numerical Reasoning. In order to pass, you will need to have a combined mark for abstract and numerical reasoning of 10 out of 20. The EPSO abstract reasoning tests are only requiring identifying the next figure in a sequence. There are 5 sequenced figures and 5 answer choices. Only one answer is correct. 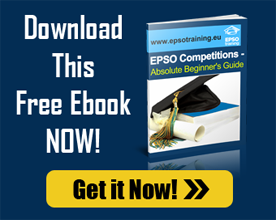 With so many candidates applying for EPSO exams, not preparing for well in advance would be a big mistake. A small improvement in your score would have a big impact on your mark and consequently on the admission to the next phase of the competition. By practicing, try to develop a technique and identify your weak area. Once identified, you will be able to take remedial actions and improve yourself. Try to concentrate when practicing and dedicate your full attention to the tests. It is recommended to practice them alone, in an empty office, during lunch break, at home, etc. Always try to time yourself when doing exercises. After all, the goal is to simulate the exam conditions. From previous test takers experience, the time of 10 minutes for 10 exercises could be scarce. In this situation stress could arise. In fact, even before the new exam format, the preselection phase of the competition involved an element of stressfulness. In order to decrease this feeling, it would be best to take this type of test in practice mode before the actual exam. You would definitely decrease the degree of stress and nervousness if you actually practiced in advance and knew what to expect from the real exam. It could be the case where you don’t find the solution to one question. Just leave it and don’t spend anymore time with it. If there is sufficient time left at the end, you can come back. As a conclusion, the most efficient way to decrease stress related to abstract reasoning exam is to practice in a systematic way before the exam so that, when the time comes, you are prepared and know what to expect. Practice FREE EPSO Abstract Reasoning tests with us! Check out our training offer for more EPSO-style abstract reasoning tests .